Battleship, the board game, has been around for some time and has had many video game adaptations. If you had the NES or Game Boy, for example, then you had the opportunity to buy a Battleship game on it. Now the franchise sits with Ubisoft, and this is the first crack on it to land on PlayStation 4. 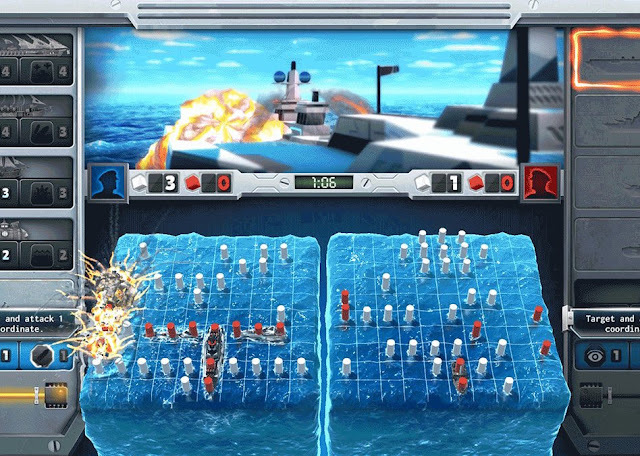 The classic game of Battleship is here but the game also has a new updated rule set, titled Clash at Sea. 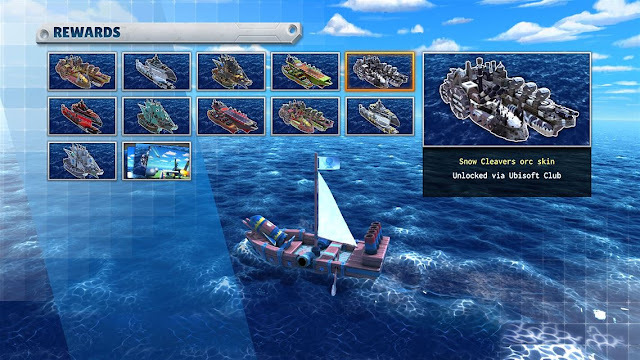 Clash at Sea uses a resource system where you use white and red resources to find and destroy your enemies ships. You use the white resource to see if a grid has a ship on it and red resources are used to attack. Each ship has two skills they can use. 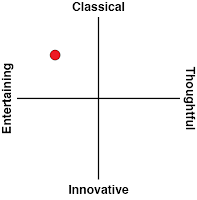 One that uses the white and one that uses the red resources. The skills very such as the carrier will let you search a number of spots on the grid at the cost of a certain number of white resources. The red resources are always going to be used for attacking, but you'll have a choice between a normal attack or a special skill. At the start of each turn, you are given three white and red resources to use in that turn or to keep until the next turn to build up your resources for an especially powerful skill. This update to the classic game really works, and makes for a fast paced and more exciting game, while at the same time deepening the strategy, and let's face it, Battleship needed that. 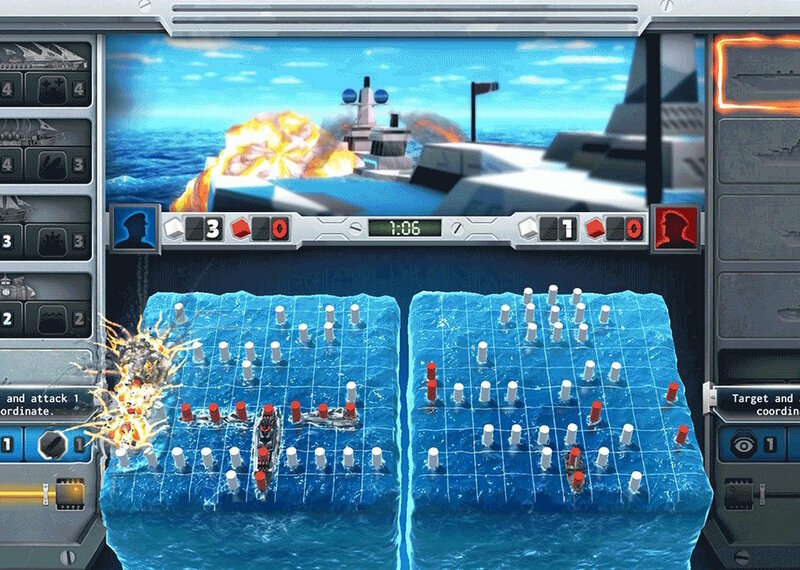 Anyone who has played Battleship knows that the most effective strategy - and indeed the only one that will win - involves criss crossing shots in a diagonal fashion. Because ships all occupy at least two squares on the play field, and can't occupy diagonal spaces, the criss-crossing is the most effective way to cover the most space, and from there the standard game is just luck based - he who discovers the enemy ships first, wins. Thankfully, Clash at Sea breaks that up somewhat and forces you to play differently. Battleship has a 30 level campaign that uses the Clash at Sea rules and each level has a different challenge to overcome. One level may start you off with three ships, squaring off against five, while another may give you only a certain number of turns to win. You will also face off against different fleets such as the pirate fleet or the tech fleet. Each fleet has different skills and resource costs. The campaign has a tiny bit of a story but its nothing really you would pay attention to, as its just a few lines of text at the start of a level. Other than the 30 level campaign you can play a normal game against the computer player or you can play local multiplayer. And then there's online multiplayer, which I suspect most people will find the most long-term value in it. You can play both classic Battleship and Clash at Sea, and there are online leaderboards to give the competitive urges a final kick. The game has a lot of content, and tat campaign will last you some time, while the multiplayer makes it fun to come back for more. There is also a Hasbro online component that lets you level up by taking on tasks that earn you XP and as you level up you get points that can be used to unlock extras in Hasbro video games. 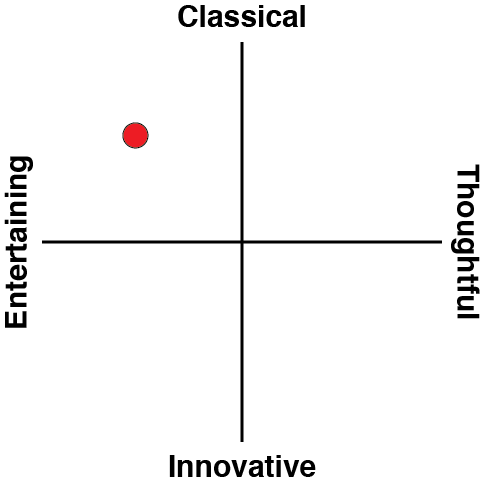 As a fan of board games I do like video games takes on them, as there's no cleanup, no cheating, and no people flipping the table in a tantrum. It's also nice to play against the AI when friends aren't around. This applies to Ubisoft's take on Battleship as well, and the new rules really add to the overall experience.